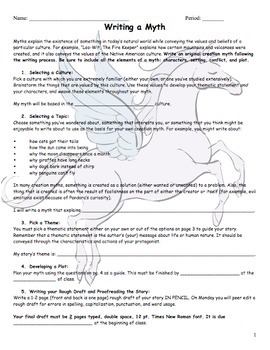 This packet takes students step-by-step through the process of writing a creation myth. The assignment requires students to convey a culture's values and a theme as they tell a story about the existence of something in our natural world. The attached document includes the assignment sheet, rubric, example themes, and a guided planning page.